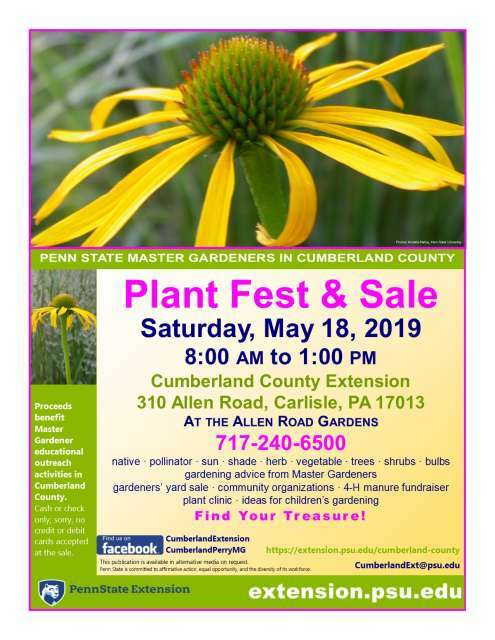 Master Gardeners of Cumberland County held at the Cumberland County Service Center, 310 Allen Road, Carlisle, PA, 17013. The plant sale runs from 8:00 a.m. to 1:00 p.m., rain or shine. It is easy to find, just off Exit 44 of I-81 on Allen Road (Rt. 465) across from the Sheetz, with plenty of parking available. 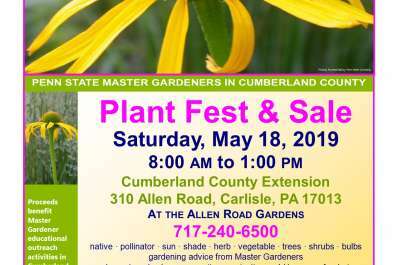 Look for the big tents on the lawn next to the Cumberland County Service Center building, where the Penn State Extension office is located. your garden questions, and local community organizations and vendors.